Six months ago I was fortunate to work alongside Lukonga Lindunda co-Founder of BongoHive (Lusaka’s Technology and Innovation Hub) on a piece of crowdsourced research to find out how many other Tech Hubs existed in Africa. At the time AfriLabs, the only association of African Tech Hubs, had just five members, and experts estimated that the number of Tech Hubs in Africa might be “14 or 15″. Lukonga built a platform to map Tech Hubs using Ushahidi’s CrowdMap and we used our social networks and media contacts to initiate a crowdsourcing process that, so far, has resulted in the mapping of 59 technology and innovation hubs in countries across the continent of Africa, and more Tech Hubs continue to be added to the map every month. For the uninitiated, Tech Hubs are places where technology enthusiasts, experts and entrepreneurs meet-up to share experience, support each other and collaborate on their latest projects. Tech Hubs organise talks by experts, training workshops, hackathons and other geek events that make Tech Hubs exciting and stimulating places to visit and to work in. Many Tech Hubs provide incubation workspace for young entrepreneurs to develop their concepts into new business ventures. Typically Tech Hubs combine social business and for-profit start-ups under one roof. Having identified and mapped so many new Tech Hubs as a result of the crowdsourced research BongoHive suggested that it would be very useful for them to be able to link up with other young Tech Hubs to share experience on the trials and tribulations of being a start-up Tech Hub. So with two partners I co-Founded Web Gathering an on-line conferencing platform which allows us to run entirely on-line conferences, where people can deliver powerpoint presentations to explain how and why they formed their Tech Hubs and show their achievements and the challenges they face. Live question and answer sessions then allow people from other Tech Hubs to learn from that experience. Tech hub staff and members can swap lessons learned and provide practical help and advice, as well as support and encouragement, to one another,, in real time across the virtual network. We now run a monthly on-line conference series for Tech Hubs covering themes chosen by hubs themselves including, ‘diversifying income streams for Tech Hubs’ and ‘Women in Tech Hubs’. You can view recordings of previous Tech Hub Web Gatherings here. The recent Web Gathering that we ran on ‘Women in Tech Hubs’ was the most stimulating yet. The presentations were excellent and the question and answer sessions were very animated. The conversation focused on why women are discouraged from entering the field of ICT and the discrimination that they face when they do. 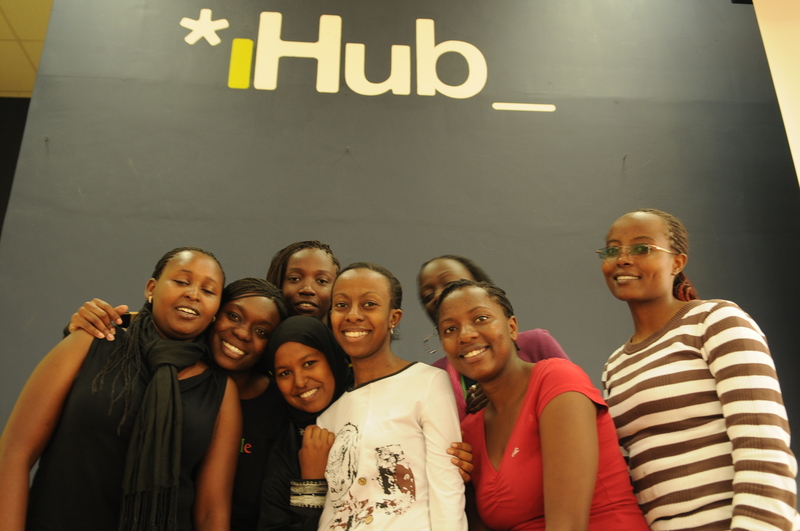 BongoHive and some of the other Tech Hubs have been pro-active in their efforts to try to reverse this discrimination and an increasing number have set up Women in Tech groups where women members of Tech Hubs can provide effective support and encouragement to each other and mentoring and training for young women entering the field of ICT. The Web Gathering featured presentations from two of these groups: the Asikana Network at BongoHive in Zambia and AkiraChix at iHub Nairobi in Kenya. You can view their presentations here and here. Reflecting on the issues facing Women in ICT with Ella Mbewe, co-Founder of @AsikanaNetwork, the women in technology network in Lusaka, we decided to initiate another research project to identify all of Africa’s Women in Tech organisations, initiative and projects. Just like the successful Tech Hubs research that BongoHive previously ran and coordinated we are going to use Ushahidi’s CrowdMap platform. The research will be initiated by the Asikana Network with support from their colleagues at BongoHive where they are based. We will use our social media networks to reach out to friends and followers across the continent in order to identify and map as many Women in Technology initiatives as possible. 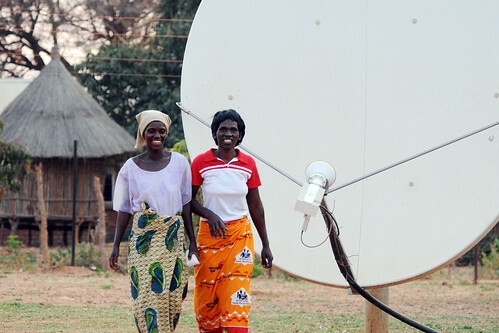 The objective is to use the #WomensTechAfrica CrowdMap to create a public ‘database’ of all Africa’s Women in Technology organisations, initiatives and projects so that women can know about, network with, and learn from each others’ experience, and share their learning, achievement and challenges. Just as physical Tech Hubs create synergies by bringing individual tech enthusiasts, experts and entrepreneurs together into one physical space, we hope that bringing diverse Women in Tech intiatives together in one virtual space will catalyse new collaborations, stimulate new thinking, and provide a practical means for women to lend solidarity and practical support to each others’ efforts. You can help by tweeting https://womentechafrica.crowdmap.com/ and by sharing it on Facebook. If you know of any Women in Tech initiatives not already listed please put them on the map by selecting ‘Reports’ and filling a short ‘Submit a Report’ form. Please play an active role in reinforcing the work of African Women in Tech by circulating news of this initiative to your contacts, friends and followers.